I’m growing a pot of strawberries this year, but unfortunely the birds are getting to them before us. Oh those birds! I was so mad when our first strawberry was eaten by a catbird – I caught it in the act of eating it! I’ve covered the plant with netting, but it’s just not working. Luckily for us, there’s plenty of local farms that grow strawberries. I had about a pint of strawberries left over from last week and didn’t want to waste them. I found this recipe for strawberry-honey butter and it’s so delicious! I spread some on toast this morning and it was the perfect amount of sweetness I needed with breakfast. 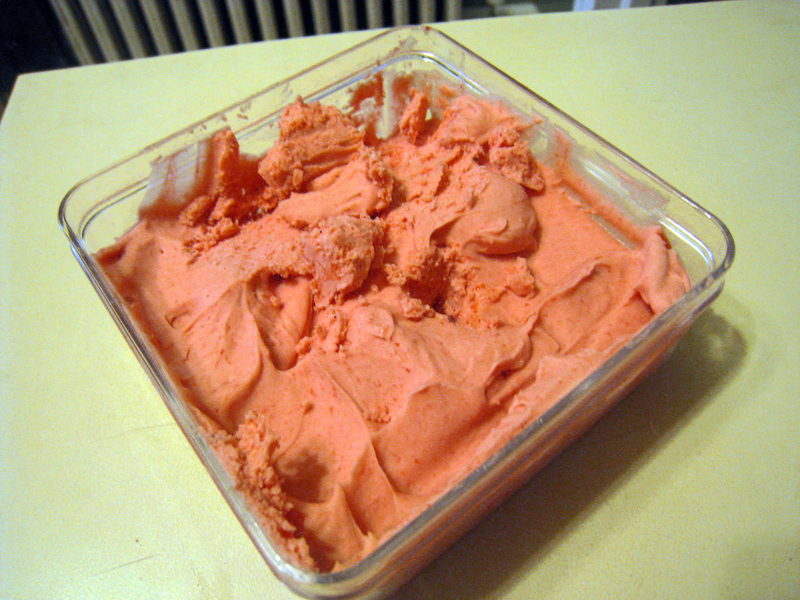 In a food processor, puree the strawberries. Using a fine mesh sieve, push the puree through into a saucepan. Add the honey and lemon juice. Boil the mixture, continously stirring for 3 minutes or until it has thickened. Allow the strawberry mixture to cool to room temperature. Season with salt to taste. In the bowl of stand mixer (trust me – use a stand mixture unless you want your white shirt covered with strawberry stains – just saying…), begin to cream together the butter and strawberry mixture until it is well bleneded. Continue beating the mixture for several mnutes until the butter becomes smooth and creamy. Let the butter stand, covered in a cool place for 1 hour to allow flavors to develop. wow this really sounds wonderful. local honey and strawberries who can complain. thanks for linking your stawberry recipe.